Photographing birds in flight is extremely difficult. Most birds are both small and fast moving so tracking them is difficult. Using a telephoto lens is the best way to get close but the field of vision is so narrow it is easy to lose track of your subject. 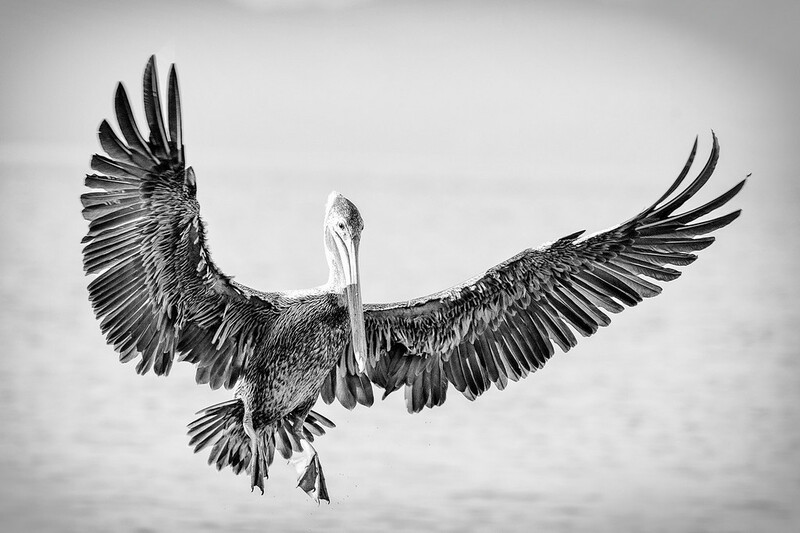 Fortunately pelicans are big birds and they're not especially graceful so they're a good bird to practice with. I love the shape of the wings as this bird prepares to land.